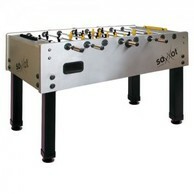 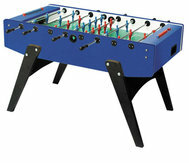 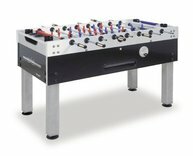 Like all of the Garlando models, this is made in Italy and features European style of play. 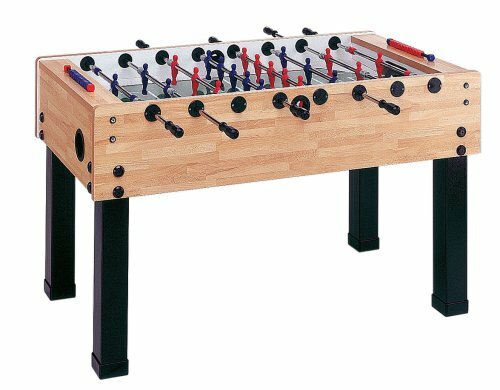 Believe it or not, this model is actually one of the lower end versions from this manufacturer as they are known for high end tables that can stand the test of time. 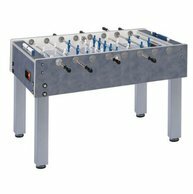 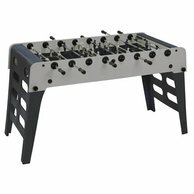 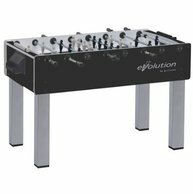 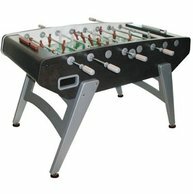 This one features 1 inch thick cabinets, telescopic rods that don't stick through your opponent's end of the table for safety, 4 inch solid legs, and ABS unbreakable players.